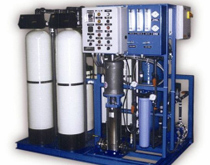 Synergy Water Solutions, Inc. is a full-service water treatment company. for boiler and cooling water treatment. 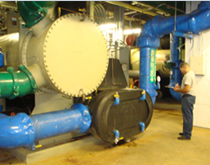 Synergy Water Solutions is the northeast region’s leading expert in specialty chemical programs for boiler and cooling water treatment. As a full-service water treatment company, we employee the expertise of design engineers and mechanical maintenance technicians. Whether the challenges are simple or complex, we have the knowledge, technology, systems and resources to meet our customers’ needs. The most urgent need in business today is to improve profitability. Our treatment programs are total plant-wide solutions for increasing productivity, reducing operating costs and meeting environmental requirements. Whether it’s lowering water and energy consumption, maintaining equipment reliability, achieving regulatory compliance, or improving yield and quality of your finished products; we measure our success by how well we help our customers achieve their goals. Synergy treatment programs represent a custom-designed mix of products, application techniques, and services to meet each plant’s specific requirements. Our service plans are directed toward the improved efficiency, productivity and reliability of customer operations. Field specialists conduct on-going system reviews in which they monitor, track and document the program to assure optimal results. 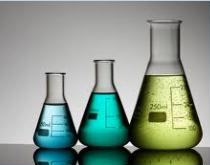 The success of our chemical treatment programs is based on the technical support that we provide to our customers. That’s why Synergy has dedicated a majority of its workforce to technical field service. Technical support means maximizing the effectiveness of our treatment chemistry, understanding your plant’s entire operation, and working closely with your personnel to be able to troubleshoot potential problems. We measure our success by how well we help our customers achieve their goals. Synergy provides a full line of computerized chemical feed, monitoring, and control systems to optimize the performance of its treatment programs. With customer intervention in mind, Synergy provides custom designed, high quality test kits and reagents for our customer’s water treatment testing needs. Our Syner-Bulk System delivery sytems are economical and environmentally sound delivery services that are tailored to meet the specific needs of our customers. MyTechReports is a web-based water management system.